Thank you everyone for a great campaign! We are so happy with everyone’s enthusiasm and support toward making Other World Mapper as awesome as it can be! If you missed the campaign and want to follow our progress, please click through to our website. We'll leave the option to pledge with Paypal for a short time, and you'll be able to purchase from our website once it's released. 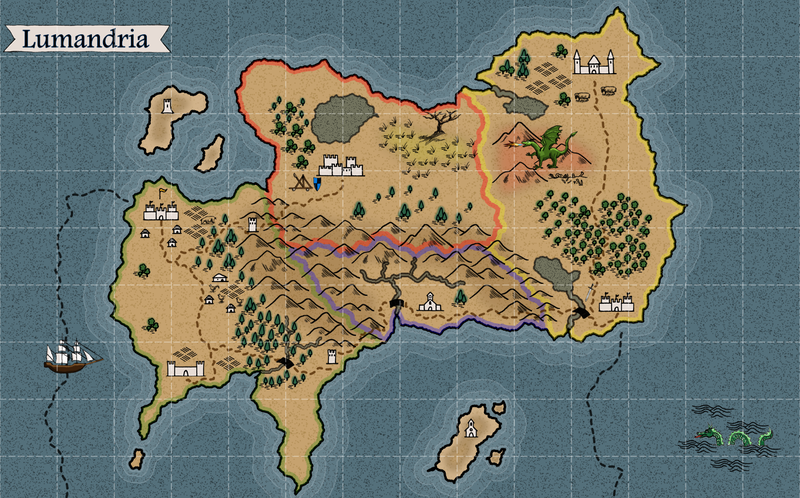 As RPG gamers and amateur story writers, we often need maps to convey our story. After years of bouncing between hand drawn maps and computer programs that didn't provide the tools we wanted, we finally asked ourselves, “Since we're software developers, why don't we make a specialized mapping program with the tools we want?” and that's how Other World Mapper was born. As soon as we started development we realized how awesome this program could be. Now we want to finish Other World Mapper so that we can share it with our fellow gamers, writers and anyone who enjoys creating worlds! We're a small contracting company and our contract work consumes most of our work time. We've been working on Other World Mapper in our spare time. Please help fund this project so that we can spend the work hours required to finish the program, test it and publish! * Stretch goal details shown towards the bottom of the campaign. 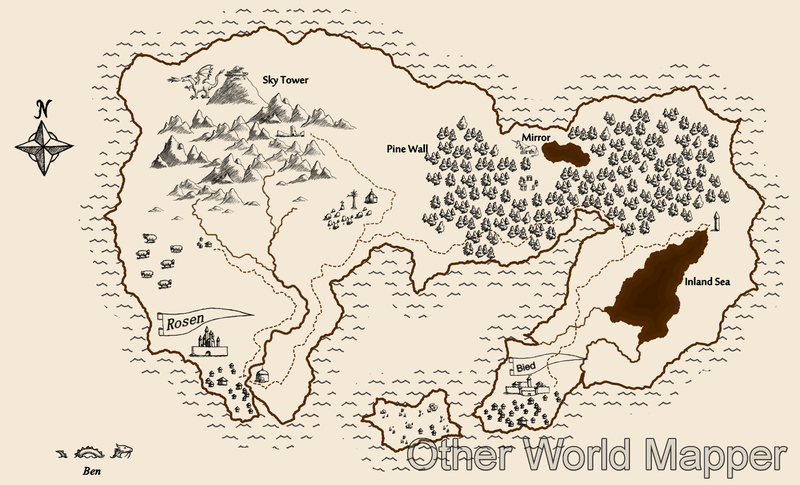 Other World Mapper is a design program for making world maps and will be distributed via a digital download. The idea is for it to have specialized tools and an intuitive user interface that allows the user to create maps quickly and takes the frustration out of creating highly detailed maps. Going into the project there were some major features we wanted to include as a baseline. Drawing tools that are designed around map elements such as land, rivers, water bodies, regions and roads, as well as customizable settings for each. Everything drawn with the map element tools to be stored as vectors, yet rasterized real-time. Objects can be scaled, rotated and modified from their vector outline, while their borders, textures, fills and effects will be rasterized again (real time) after each change. Each map element to be a separate layer so that after it is drawn or placed, it can be moved and manipulated. A program that would let us import our own art for features such as buildings and trees, so that we could create unique maps, but with all the advantages of computer editing. 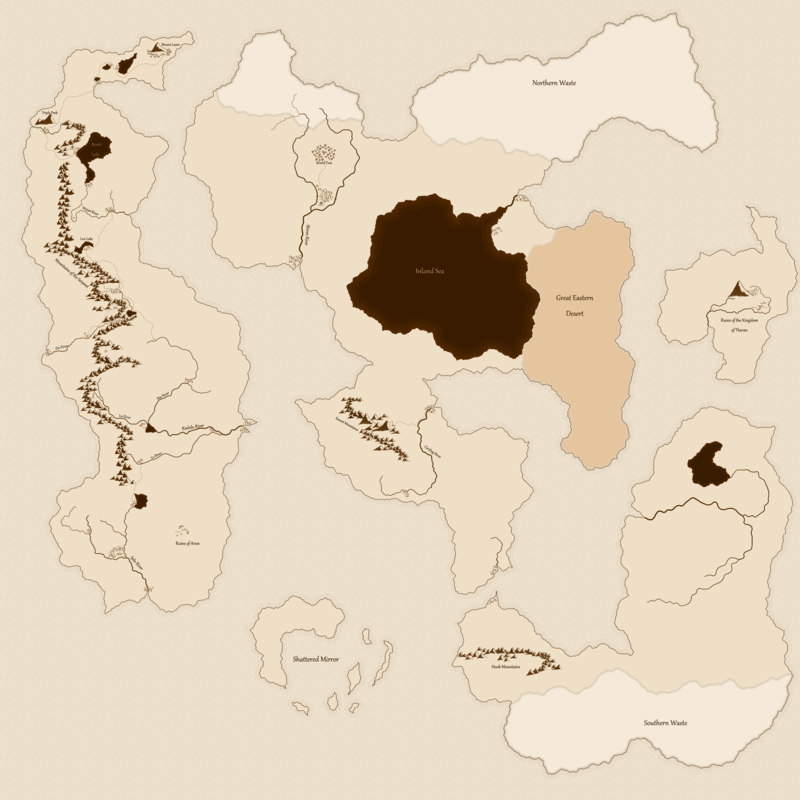 We're making Other World Mapper for anyone who wants to create a fantasy or sci-fi style map! Gamers, role players, authors, indie video game or board game creators, if you've ever needed a map for your project this program is for you. Basic "drawing" tools: landmass, water body, river, road, region and more! Different pen styles for each "drawing tool," including random fractal segments, line segments, curve segments and Bézier curves, and free hand pen. Random segments can be regenerated real-time with hotkey. Customizable settings for each map element include textures and backgrounds, outlines, shadows and more. All with independent and overall opacity settings. All rasterize real-time as they are changed. Automatic generation of shorelines for landmasses, lakes, and rivers. Shorelines have different style options, such as spread and color, and can be changed, enabled or disabled, at any time. Automatic integration between rivers and water bodies, so that rivers "merge visually" into lakes, but remain as separate layers. Label tool for placement of map text. Customizable font, color and outline color, style and alignment, as well as rotation angle. Feature tool for adding map symbols (castles, mountains, etc). Edit options for map symbols: scaling, rotation and opacity settings, as well as ink color (You will be able to import your own Map Features. See Art Importing Tool below). Canvas options: fill canvas with a color, a texture and/or image, each with independent opacity controls! The canvas can be set to your own image of a map and then traced with Other World Mapper's tools. Move, Scale and Rotate tools may be used on all map objects. The ability to modify shapes from control points, for all the map item types. Copy properties from one item, and paste to another. Set the tool properties based on an item's properties. Default themes that set the default properties for all tools, allowing creation of maps in a particular style quickly. The ability to save and share your own default settings as your own map theme. Square and Hex grid with options for line style, thickness, color and opacity, as well as vertical and horizontal spacing, and optional snapping. Distance tool and the option to set the map scale. Anti-aliasing for objects and effects, blending of objects with "smooth" edges. Option to have a circle or ellipse represent the edge of a flat map (instead of rectangular edge). Art importing tool to make it easy for you to bring your own artwork into Other World Mapper. Multiple document interface. You can have multiple maps opened as separate tabs and copy/paste items between them. Exporting of maps to various image formats (jpg, png, bmp, etc) and PDF, and the option to upscale exported map. Exporting of “raw” vector data to SVG format (i.e. landmasses, regions, etc. without rasterization), and the ability to export pixel coordinate data for map features (i.e. xml file). This should be particularly helpful for game developers. Printing/Plotting of high resolution maps. Separate layers for each map object and layers window to hide/show and swap z-order of individual map items, or entire map item category (i.e. change the z-order of all regions). All the maps shown were made start to finish with Other World Mapper. Map made with our pre-alpha dungeon tools during early tests. Early preview of a sci-fi style map and artwork. Update: We created a 9000 x 9000 pixel “in program” map to demonstrate large maps (not a particularly detailed map). You can download the map below. Note: you'll likely need to right click and save as/download the png because of its size. 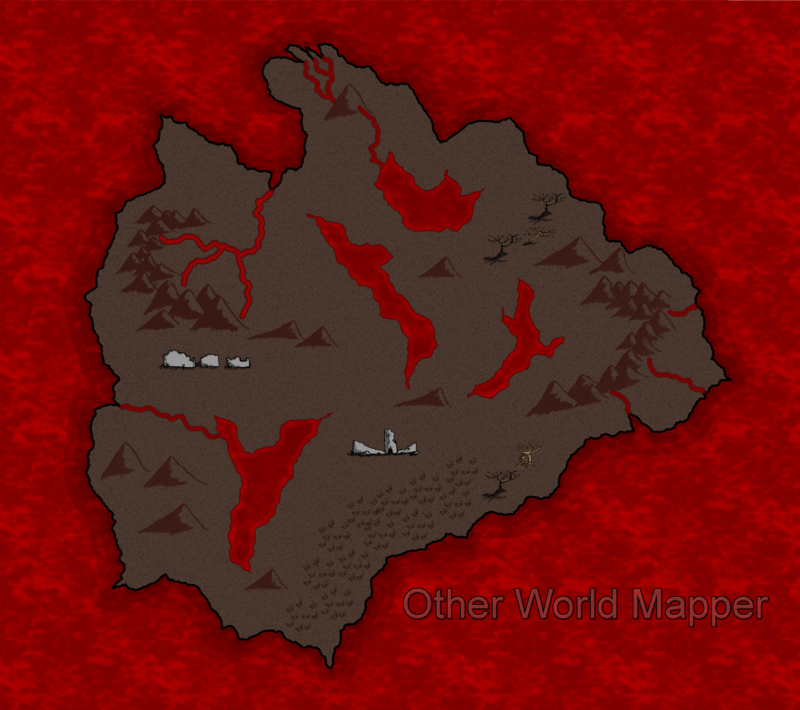 Other World Mapper allows you to add what we call “map features” such as trees, mountains, castles, sea monsters, etc. by choosing images from art sets loaded in a Feature Pallet. Other World Mapper also allows you to apply textures and backgrounds to the canvas and map elements. We will provide artwork as part of the software. However, we also want to make it easy for you to import your own artwork into Other World Mapper for creating truly unique maps. Other world mapper will include an art tool which will allow you to import your own artwork as well as organize and manage your art folders. So far, we have created over 300 individual features in five fantasy art sets, which will be included with Other World Mapper. We plan to finalize those already created for the fantasy sets and create more to be included as part of an art expansion, following other themes such as sci-fi and pirate. Other World Mapper will also include textures and other support artwork. Features, textures and backgrounds included with Other World Mapper will be print quality png's with transparency information. Other World Mapper will support the importing of png, jpg, bmp, and gif files, for those who wish to use their own artwork. The first stretch goal added support for SVG files. As you can see in our “What We are Working On” section, there are still many features we need to add and testing to be done before we can call the program finished. So far, we've developed Other World Mapper on our own time and money. Other World Mapper always has to come second to our contract software development work, which has made it difficult for us to work on it consistently. 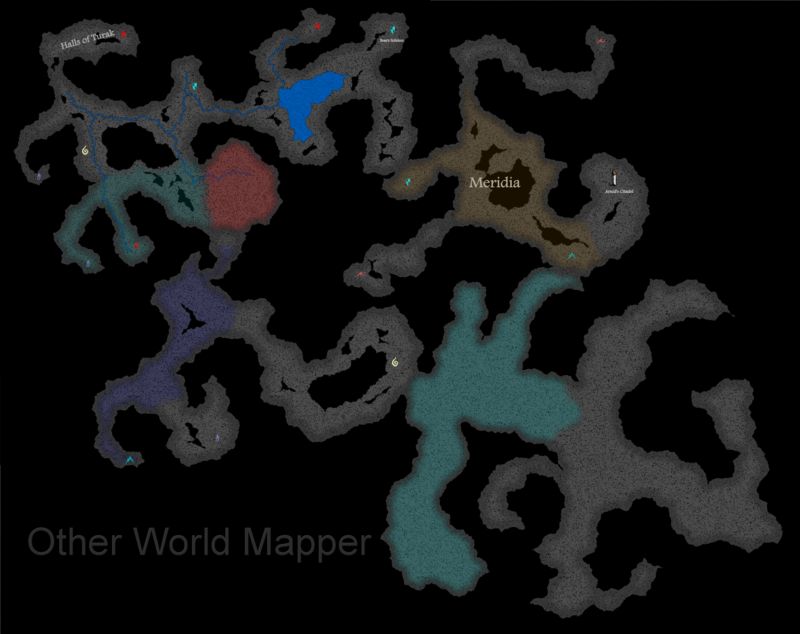 Kickstarter funding would allow our team to concentrate on the final part of the development of Other World Mapper. It would allow us to invest in additional licenses for our tools, and additional hardware for the development and testing of Other World Mapper. In short, successful funding would make it possible for us to finish the work that needs to be done in order to bring Other World Mapper into a 2015 release. An option to turn on automatic labels for landmasses, regions, lakes and features. The label would be shown centered for landmasses, regions and lakes, and shown above or below for features. Option to populate regions with features (i.e. fill a region with trees). The tool will have settings for the fill algorithm, density, and other options. Option to add text, such as descriptions, notes, and story content to any map item. This would be a useful tool for GM's, or anyone building a world for a story. The text would appear in a “location notes” window once the item is selected. SVG support for Map Feature artwork and the inclusion of a small set of SVG symbols. Wall, hallway and cave tools with the same properties of our land map tools (opacity, texture, width, etc), and the same type of auto connect mechanics as our land maps. Room tools following different polygon shapes or circular. All with the same pen options as the rest of our tools. Doors, stairways, walls, and other architectural objects. Chests and other treasure containers. Tomb and crypt features, weapons and item piles. Furniture, lanterns, torches and symbols. Fantasy Dungeon textures (15+): tile, stone, earth, and wood. Option to show parallels and meridians that correspond to various map projection types (Mercator, Elliptical, Gauss conformal, etc). The ability to import SVG files to use as data for landmasses, regions, water bodies, or rivers. This support would be done on a per layer basis, one map object type at a time. This features allows the addition of links between files though map items. For instance, you can make a castle map symbol a link to a city map, or a cave symbol a link to a dungeon map. You could also use this feature to link to more detailed versions of the same map. For instance, you could create a new map from a region, add more detail, then link the overall map to the more detailed map of the region. Also, this option would not be limited to other maps, but will also allow the creation of links to images (png, jpeg, etc) that you may have created outside Other World Mapper. Similar to the feature above, but multiple views stay as part of the same map “project.” You can select a landmass or a region (or any other section of the map) and create a new view from it. Changes to the main view apply to the derived views, but details you add to the derived views don't change the principal map. A dedicated tool for map borders. This will allow you to setup the map border as an overlay to the map, and you'll be able to pick from images (including SVG images) to be used as borders. Options will include the ability to set a different image for the corners and the center of the border, as well as opacity, size, scale, and others. This feature will include an option for Other World Mapper to go into full screen mode and hide all the design time tools. You'll be able to define options for the DM mode, including. Fog of war, completely black, or showing only certain layers (for instance, show all landmasses, mountains and lakes, but hide everything else). You'll also be able to define a complex fog of war “layer” using a tool similar to our region tool (with “following” and snapping options). Ability to set player(s) icons in the map and move them, either freely or based on grid line (square or hex). Ability to define light radius for players. Location notes become points of interest that upon selection show the “story” of that location. Map links will link to other maps, also in DM mode (or a image). Note: The fog of war layer will be another layer in the map, and you could create it and save it for using outside of Other World Mapper, you won't be limited to using it in DM mode! 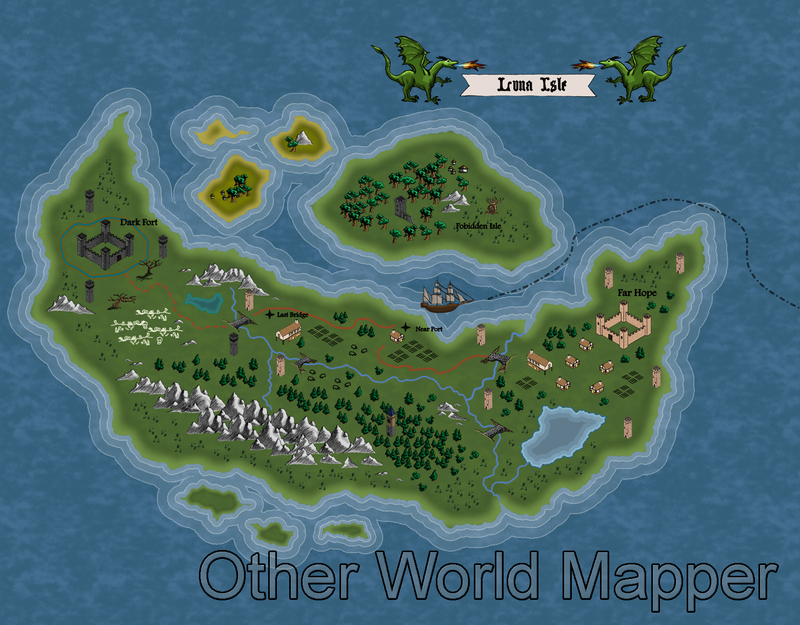 Mac and Linux beta testing will be available to backers at any tier level that gets a copy of Other World Mapper! Note: All delivery dates are our worse case estimate, plus some. We expect to beat them. The basic edition includes one copy of Other World Mapper as a digital download. It includes the base fantasy art sets, over 300 features, and selected textures and backgrounds. It also includes access to our forum and the option of being listed in the backer credits. The art expansion includes the same content as the Basic Edition (including access to development forum), plus 3 additional art sets: science fiction, pirate and mythology, for a total of over 100 additional features, plus additional themed textures and backgrounds. This level includes two of everything at the Art Expansion Edition level. The Early Beta level gives you the opportunity to have your hands on an early release of Other World Mapper, and give us feedback and participate in the final months of development towards the release. You'll have access to the Beta development forum. 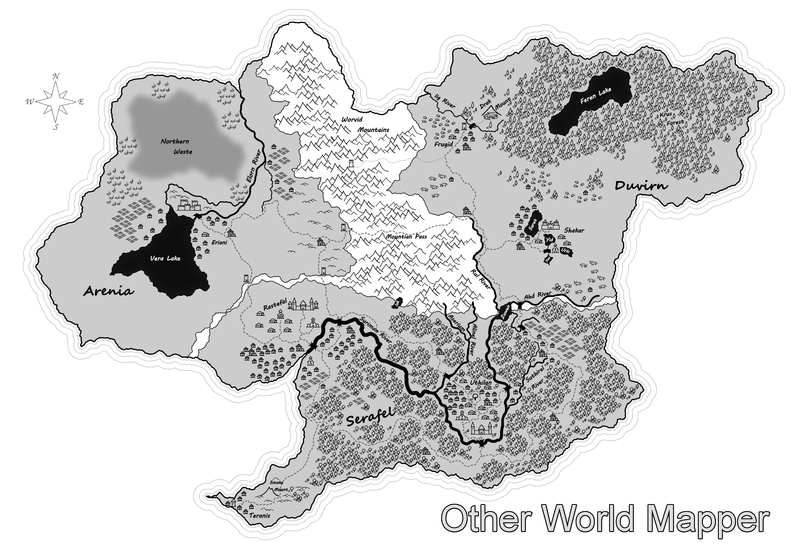 Once Other World Mapper is released, you will receive one copy of the Art Expansion Edition. The Alpha level lets you have the earliest access to the software. It will give you a chance to contribute with early testing and final development decisions. Our plan is to make this version accessible to the alpha level backers by late April or early May. As you can see in the video, our current alpha build is stable, so we could make the alpha version available even earlier. Also, everyone in the alpha tier level will have the opportunity to submit their maps and map themes to be included with Other World Mapper and be fully credited for their contribution. Please note that this is not for everyone, since we could have bugs/compatibility issues at that stage that would be frustrating to the average user. This version could also be missing some features if we feel they are not good enough for an alpha release. You get to submit a map symbol you drew (within reason) to be included with Other World Mapper. Draw a creature, city, anything that would make a good map symbol! You also get all the rewards from the ART EXPANSION EDITION tier. You get to request a map symbol (within reason) to be included with Other World Mapper. You also get all the rewards from the ART EXPANSION EDITION tier. You get to request a mini Art Set (within reason, aprox. 25 symbols) in a theme and style of your choice to be included with Other World Mapper! You also get all the rewards from the ART EXPANSION EDITION tier. Please understand that the material cannot be something licensed/copyrighted. We want to let the community participate in the development of Other World Mapper and welcome your feedback and input. Of course your comments here on Kickstarter are more than welcome! We also plan on starting a forum with successful funding. We understand that the main risk of any project is being unable to deliver the product promised. Since this is our first Kickstarter, we waited to publish our campaign until we had something solid to show. All the features you see are working or partially working. All the maps shown were created, start to finish, using Other World Mapper. We are also confident that we can implement all the stretch goals that we have planned, as we have proof of concepts for most of them. From our contract software work, we are used to keeping realistic schedules, and adapting when issues do come up so that we still meet our delivery dates. When determining the Kickstarter delivery date, we created a detailed project schedule with all the work left to do. We assumed worse case scenario times for all the areas in our schedule, then added some, so we are confident that we can deliver on time. This will be Three Minds Software's first independent project, so it will be our first time distributing software. We may need to try a couple of different services for digital delivery, but we'll work out those issues well before delivery of the finished project. Our thanks for helping us create Other World Mapper and the option of your name being listed in the backer credits. 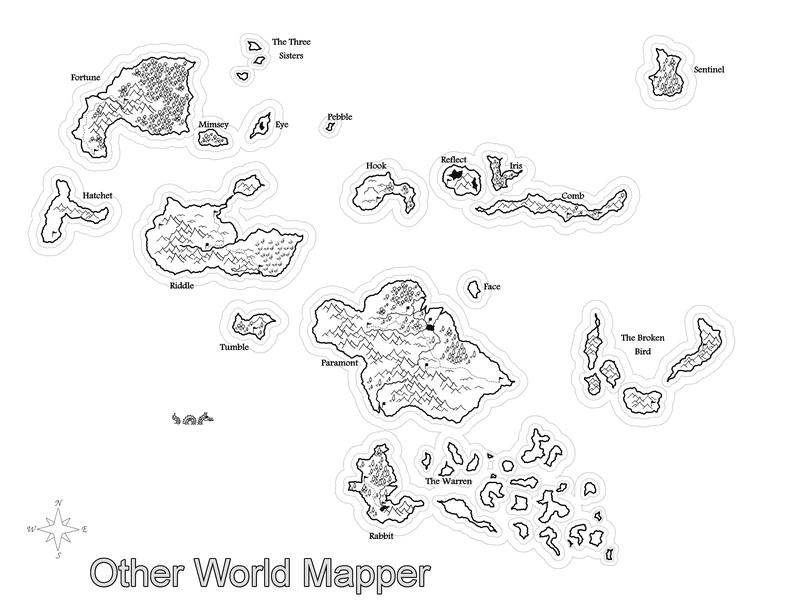 BASIC EDITION - You receive a digital download of Other World Mapper with basic art sets. Plus the option of your name being listed in the backer credits. Plus access to forum. ART EXPANSION EDITION - You receive a digital download of Other World Mapper with basic art sets. Plus the option of your name being listed in the backer credits. Plus access to forum. FOR YOU AND A FRIEND - You receive 2 copies of the digital download of Other World Mapper with basic art sets and the art expansion. Plus the option of your name being listed in the backer credits. Plus access to forum. Plus access to early Beta and Beta forum. Plus early access to the completed program. Plus the option of your name being listed in the backer credits. SUBMIT SYMBOL - You get to submit a map symbol you drew (within reason) to be included with Other World Mapper. Draw a creature, city, anything that would make a good map symbol! You also get all the rewards from the ART EXPANSION EDITION tier. REQUEST SYMBOL - You get to request a map symbol (within reason) to be included with Other World Mapper. ART SET REQUEST - You get to request a mini Art Set (within reason) in a theme and style of your choice to be included with Other World Mapper!